Every five seconds, someone, somewhere in the world goes blind. Every minute, one more child goes blind – ninety per cent of blind children don’t attend schools. A year 2000 study examined blind school children in multiple countries and reported the prevalence of severe visual loss in Sri Lankan students at 33.2%. This was the highest prevalence in the countries studied. The deaf and blindness goes beyond health – it affects the livelihoods of individuals and the economic well-being of communities. 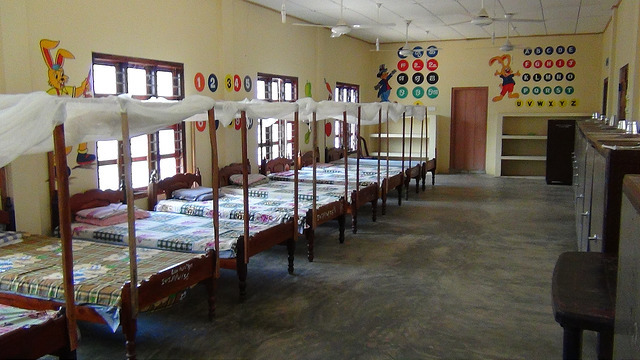 Iniya Valvu Illam takes care of 55 children who are either deaf or blind. From April 2012, MNT commenced contributing a monthly sum of Rs.200,000. Due to the war, the home’s boundary wall was demolished and the library was damaged. There is an urgent need to reconstruct this wall to avoid high risk of accidents and to provide a secure environment to these special children. The home has only 2 Braille machines; one of which is being used by the home’s office. At a minimum, the home would benefit from10 further Braille machines in addition to the Braille papers. In addition, the library needs to be well equipped and a computer laboratory, specially designed to cater for the children’s special needs, should be made available in order to putthese children on a better and adequate footing. Iniya Valvu illam is proud to inform MNT’s Donors of the achievements of its children. Some 7 of these children have entered the University of Jaffna. Subsequently, 5 of these 7 have graduated. The remaining 2 o are still enrolled at the university. All 7 will remember and value the MNT’s Donor’s kindness.